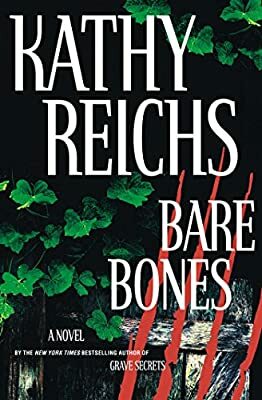 Author: Reichs, Kathy Set In . . . Description: World-class forensic anthropologist and New York Times bestselling author Kathy Reichs explores international endangered species trafficking in this electrifying new thriller that brings Temperance Brennan back to her home base in North Carolina where several sets of bones, both human and animal, lead her on a terrifying hunt for a killer. It’s a summer of sizzling heat in Charlotte where Dr. Temperance Brennan, forensic anthropologist for the North Carolina medical examiner, looks forward to her first vacation in years. A romantic vacation. She’s almost out the door when the bones start appearing. A newborn’s charred remains turn up in a woodstove. The mother, Tamela Banks, hardly more than a child herself, has disappeared. Did she kill her infant, or is an innocent teenager also about to become a victim? Most puzzling of all are the bones discovered at a remote farm outside Charlotte. What has Tempe’s dog, Boyd, unearthed? The remains seem to be of animal origin, but Tempe is shocked when she gets them to her lab. Everything must wait on the bones. What story do they tell? Why are the X-rays and DNA so perplexing? Who is trying to keep Tempe from the answers? Someone is following her. Someone is following Katy. That someone must be stopped before it’s too late.